This week some of Norway’s best startups are traveling to Stockholm Tech Fest to show 4000 participants and over 100 international investors the “cream” of the Norwegians startupscene and talk about “The future Norway”. Oslo Business region together with Innovation Norway, Mashup, Startup Lab, Nordic Innovation House, Nortzone and lots of good helpers have put together a sparkling program showing the Nordics examples of the blooming Norwegian startupscene. The entrepreneurial spirit is all time high in Norway and the scene is consisting of high quality, skilled and ambitious global entrepreneurs. The companies that are traveling and pitching their stories on the Tech Fest are some of the most interesting cases within different sectors seeking investments and attention from a global market. I am very exited of this joint venture to make Norway’s fairly unknown, but definitly blooming startup ecosystem more visible for international investors and markets. 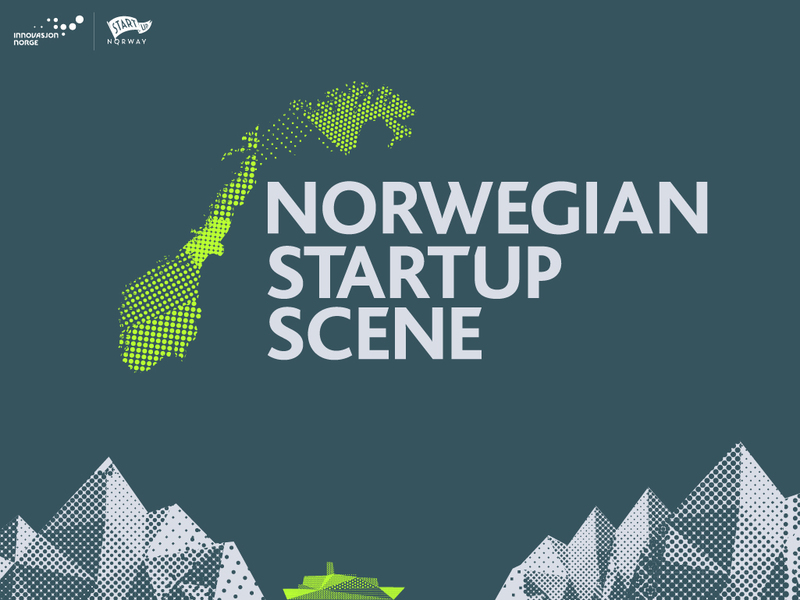 Norway is behind on the global startup map right now, but this will change. When we first decide, Norwegians moves fast forward with high quality and integrity. The skills, money and entrepreneurial mindset is there, we have we done this before in the oil, gas, and maritime industries, now is time for the startup-“industry”. The startup scene in Norway is one of the fastest growing in Europe, and is getting explicit support and focus from the Norwegian governments in making the right policy to support this emerging ecosystem. Also the private sector is catching up, but there are still some challenges that need to be solved. Norway is struggling to attract international investor money, especially in the early startup phase, and new tech industries. Now we want to make our startup scene more visible by attracting skilled talent, money, competence and interesting companies so that we can build a stronger and preferred ecosystem. Recently one of the most renowned VC seed fund and startup accelerator, 500 startups announced that they are starting a pre-accelerator in Norway and have their establishment for the Nordics based in Oslo, we want to welcome more players like them to come here to take part of “Future Norway”. We are extremely thankful to the startups that are taking their time to represent the opportunities and the vibrant startup environment that is going on here in Norway – Helping us showing the world all the great stuff we have going on here in the Silicon Fjord! ABI Research calls Unacast «the prototype for the next generation of advertising mediators, combining collaboration, bigdata, context/proximity, and omnichannel to create a service that manages to delicately balance the needs of retailers, brands, indoor location vendors, and,ultimately, the consumer.»Unacast was born out of Oslo and TIDAL, and has offices in London, San Francisco and New York. New York functions as the commercial hub, while technology sits in Oslo. After only 7 months of operations, Unacast raised $1,6m to «to become the main tracker of every store you visit» and expand the team to 10 people, and recently announced the next 20 hires to prepare for further growth. Through its products, Unacast has cooperations with over 60% of the proximity industry, and also operates the definitive proximity industry directory, Proxbook. AIMS – An Insight & Software Performance Analytics platform for complex IT environments. In contrast to traditional tools – AIMS provides easy and intuitive insight into the performance of the most critical enterprise IT systems from a 5 minute out-of-the-box install. Bakken & Bæck is a digital agency that was founded in 2011 by Tobias Bæck and Johan Bakken, and has offices in Norway, Germany and the Netherlands. The company specializes in helping startups and established companies design and build digital products and new ventures. Together with ex-Facebook designer Chris Kalani, Bakken & Bæck recently launched Wake, a tool that wants to change how designers share work in progress. Wake recently raised a seedround from First Round Capital, Slow Ventures and others. Domos Labs make cloud-based learning software for wi-fi routers that automatically fix the typical internet issues people experience every day. With Domos, existing broadband connections are faster and more reliable, while end users are empowered to monitor the actual service quality. Automation and optimzation means service providers can reduce their customer support cost byup to 80%. Superplus came out of stealth in July of 2015 with SuperSpeak – the first assistive technology application that motivates nonverbal children to communicate through the use of their own photos and sounds. The effectiveness of the app stems from combining a completely new approaching to using a mobile interfaces with playful vocabulary games to make learning fun. With SuperSpeak, children now find it easy to communicate with their parents, teachers and loved ones. Superplus’ eye tracking technology (currently in pre-beta) does not require any additional hardware other than a mobile device and will be a feature of SuperSpeak for those lacking motor skills. Using only the highest quality of research, Superplus works in conjunction with Yale’s Child Study Center. Knowledge and play is in their DNA. Babou Olengha-Aaby, is the CEO and Founder of The Next Billion (Formerly Mums Mean Business). With The Next Billion – Babou is building the world’s first impact-led crowdfunding platform inspired by the principles of impact investing and venture philanthrophy. Where the onus is on value creation, capacity building, women’s economic empowerment and financial inclusion. Where female entrepreneurs and female led-enterprises are the primary focus for investment. The platforms aims to help female led-enterprises raise the necessary capital needed to start, scale, grow and lead successful and economically sustainable businesses. Her company is on a mission to unleash and invest in women’s economic potential through entrepreneurship as a catalyst for positive impact to local, national and global economies. ← Er HR historie eller fremtid? Lump armpit brings discomfort, pain when moving. to Carry trip doctors is not appropriate. Formation under the muscle cavity may turn out to be dangerous illness. But more often it is consequence regular use antiperspirants, non-compliance rules personal hygiene, intense sweating. Inflammation causes a close clothing, polluted razor-affiliation, the virus. Compaction under the arm, redness, lump becoming warm? This is the abscess that will operated on, next drink antibiotics. initial stage treat lotions, anti-inflammatory drugs. When the process is started, the required surgical procedure.